The event that took place on Thursday 10th March at Walkabout bar on Carver Street, saw the female and male finalists take to the catwalk and battle it out for the year long modelling contract with DK Model Management, whilst raising money for charity. The money was raised for Sheffield charity Mencap, which helps improve the quality of life for people with learning disabilities and their families, and for the leading children’s charity in the UK, Barnardo’s. Blissful Events were the team of Sheffield Hallam events management students who organised the event, which included finding sponsors, a location, setting up and advertising the competition all within three months and with a budget of £1,000. Walkabout offered their bar to host the event for free, and had DK Model Management and Amie Parsons Photography sponsoring the event as well. The judges on the panel included Miss Sheffield 2010 Stacey Milano, former model and director of DK Model Management Kathy Holdsworth, Miss Everymodel Kayleigh Hewitt and top photographer Amie Parsons. 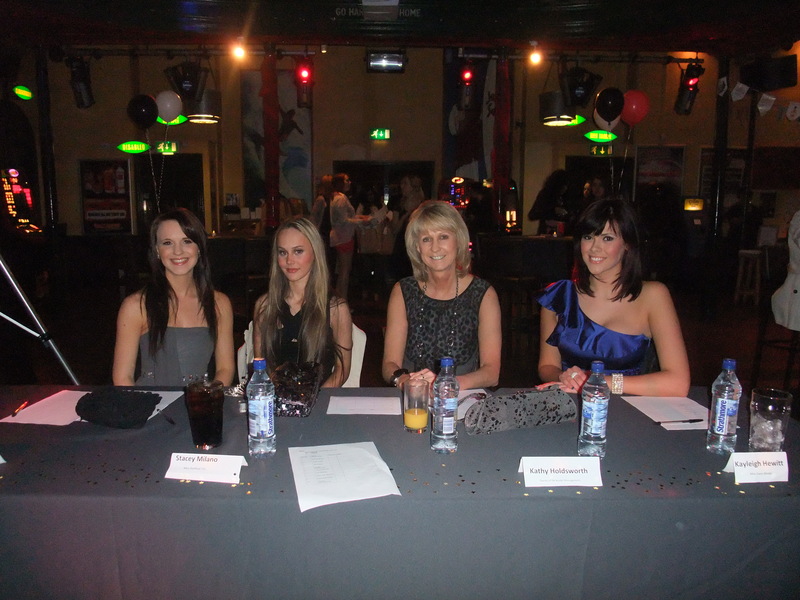 The Judges from left to right: Amie Parsons, Stacey Milano, Kathy Holdsworth and Kayleigh Hewitt. Apart from the entertaining catwalk show from the finalists, there were lots of exhibitors including stalls such as Moroccan jewellery, Sheffield Eagles rugby clothing, Ilkeston Co-op Travel and Face4Make-up. 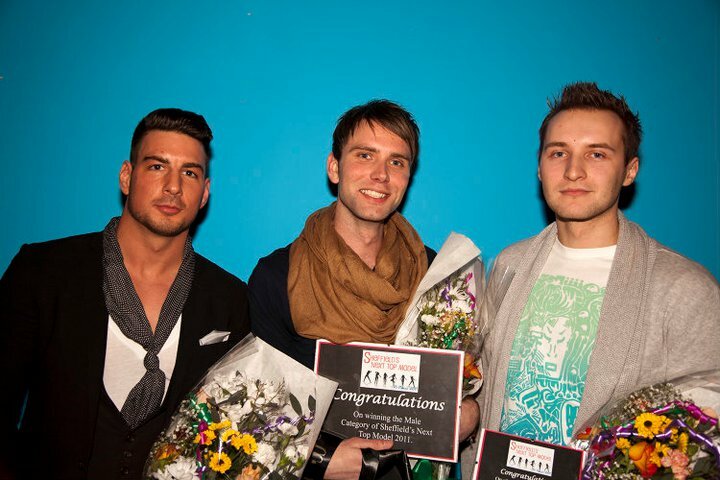 All the finalists had their hair and make-up done by Sheffield’s best hair salon, Wigs and Warpaint as well. A raffle was also drawn which included donated prizes from the exhibitors such as Sheffield Eagles tickets, Meadowhall vouchers, Champagne, £80 worth of holiday vouchers from Ilkeston Co-op Travel and three personal training sessions with the Walkabout bouncer! Katie Gollick, Jenny Simons and Farah Barakat were the students behind the night itself, Katie commented, “running the event was the hardest as the members of public can be unreliable causing unexpected problems!” They explained how it was their first event and felt like it was a success. Their Facebook group, “Sheffield’s Next Top Model” gained 2,800 likes which was more publicity than they could have hoped for. Sheffield clothing boutiques Yes Orange and Bliss contributed to the night by holding a fashion show in the interval, where their Spring/Summer 2011 collections were exhibited. Members of the Sheffield Eagles rugby club also got their new kit on and strutted some interesting moves down the catwalk much to all the ladies pleasure! The competition ended in high spirits mainly due to the very cheap bar, but the night was only just beginning as the after party commenced with style. The female winners: 1st place Stephanie Shemeld (centre), 2nd place Natalie Fowler (left) and 3rd place Kelly Wainwright. The male winners: 1st place Marcus Brown (centre), 2nd place Tomas Govoruchinas (right) and 3rd place Paul John Bonnett (left). Check out the Facebook event page to see more pictures from the night http://www.facebook.com/#!/pages/Sheffields-Next-Top-Model/163385657034920. Also have a look at the official website where you can find out more about the charities the money was raised for http://www.sheffieldsnexttopmodel.moonfruit.com/ .